Provides interfaces and classes for interaction with various desktop capabilities. Provides interfaces and classes for dealing with different types of events fired by AWT components. Provides classes and interfaces for the input method framework. Provides interfaces that enable the development of input methods that can be used with any Java runtime environment. Provides classes and interfaces for producing rendering-independent images. Public classes used by the built-in TIFF plug-ins. A package of the Java Image I/O API dealing with low-level I/O from files and streams. 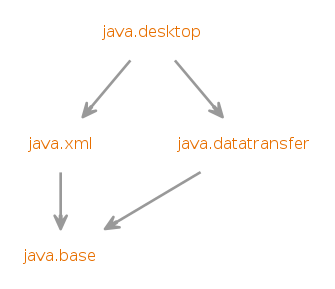 Provides the principal classes and interfaces for the Java™ Print Service API. Provides classes and interfaces that describe the types of Java™ Print Service attributes and how they can be collected into attribute sets. Package javax.print.event contains event classes and listener interfaces. Provides interfaces and classes for I/O, sequencing, and synthesis of MIDI (Musical Instrument Digital Interface) data. Provides classes and interface for drawing specialized borders around a Swing component. Contains classes and interfaces used by the JColorChooser component. Contains classes and interfaces used by the JFileChooser component. Service Provider Interface (SPI) for Assistive Technology. The service provider interface (SPI) for ImageInputStreams. The service provider interface (SPI) for ImageOutputStreams. The service provider interface (SPI) for ImageReaders. The service provider interface (SPI) for ImageTranscoders. The service provider interface (SPI) for ImageWriters. Defines methods that provide sufficient information about an input method to enable selection and loading of that input method. A StreamPrintServiceFactory is the factory for StreamPrintService instances, which can print to an output stream in a particular document format described as a mime type.